It’s shellariously silly and I’ve had a ball making it but couldnt wait another second to tell yall! It’s fresh off the press and already in a few Sanibel and Captiva retail stores including Congress Jewelers, Suncatcher’s Dream, MacIntosh Books, Captiva Cruises, Bailey-Matthews Shell Museum store, Pelican’s Roost, and even our Sanibel CVS. I will do a whole post about it soon but I coudn’t wait to tell you any more! Can you believe it? 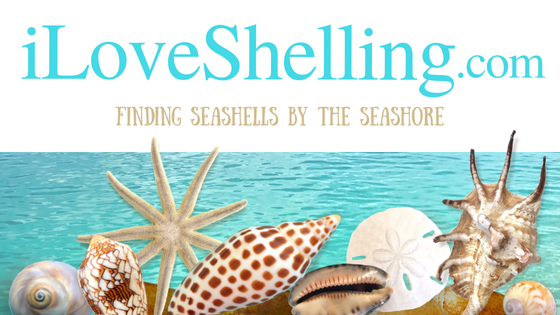 I’m so thrilled to be able to share this with you and the book is dedicated to all of you shellers I’ve had so much fun being silly about shells. It’s the perfect gift for anybody who loves shells and loves to laugh. You can preview of the book HERE…AND you can buy it online! CONGRATSHELLATIONS!!!!! Can’t wait to buy it! Congrats Pam! That is wonderful! That’s a shell of an aconchlishment! Congrats! Woohoo, congratulations Pam! This will be a fun FL coffee table book for family and friends to enjoy! Congrats! I speak your shellanguage! Can’t wait to check out the book! Fabshellous Pam!!! Can’t wait to read it! We are in Sanibel this week so I will be sure to pick it up. By the way, I saw the Shell Love Bug yesterday driving on SanCap away from Captiva. We were headed to sunset shell at Blind Pass. It was a fan girl moment for me for sure!!! Great gifts for all my Florida friends !! Congrats Pam !!! So fun — and you know we are all going to want our copy autographed by the Shell Queen! Didn’t I come up with the perfect word to describe the shell love bug?!? 😄It was so much fun helping you create that masterpiece in your garage. Thanks for the memories, Melanie and I had a blast! Congrats on your book! Just placed my order online! Wonderful! Will there be copies be autographed by you? CONGRATULATIONS PAM !!! I LOVE IT !!!! So happy for you !!! Can not wait to get my very own copy and share with friends and maybe get one for them also. Would love to have you Autograph it !!! So cool, Pam!!! The book is so sweet! shelmazing!! This is so awesome Pam!!!! Love it!!! It’s SO You!!!!! I want one! However I need my autographed! CONCHratulations Pam! When and where is the book signing party!? Please think about autographing the copies that are at the local Sanibel stores. You may not realize what a big shellebrity you are – signed copies would be wonderful. So grab your pen shell and start autographing! Hi Pam, would like a book, can you sign it? LOVE my signed copy from SWEET Diane :) :) Pam, what a fantastic accomplishment….your very first book truly knocked my dive booties off !! So exciting, congrats! Is it available in stores on Sanibel/in Fort Meyers? Or only online?